We take pride in our knowledge of all varieties of SUPs, Paddles, Paddle Accessories as well as the lakes and ponds surrounding the region. It is important to us that you are fitted properly, so that you can enjoy this awesome sport to its fullest where you plan to play! Getting into buying SUPs can be a daunting task. 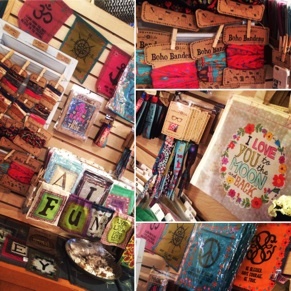 Stop in and ask away! to schedule a drop-off or consultation regarding a repair to your SUP. 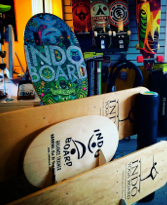 Come down to shop for Boards, Paddles, Safety Equipment, Repair Kits, Accessories, Apparel and more! 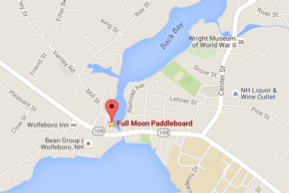 Rent a board or bring your own and launch from our dock in Back Bay to explore paddling in Wolfeboro!